I don’t know where I first heard of Morning Time, but it has been the basis of our homeschool since the very beginning. In the early days, it was more of a preschool circle time, with nursery rhymes, finger plays, and singing making up the bulk of our time together. 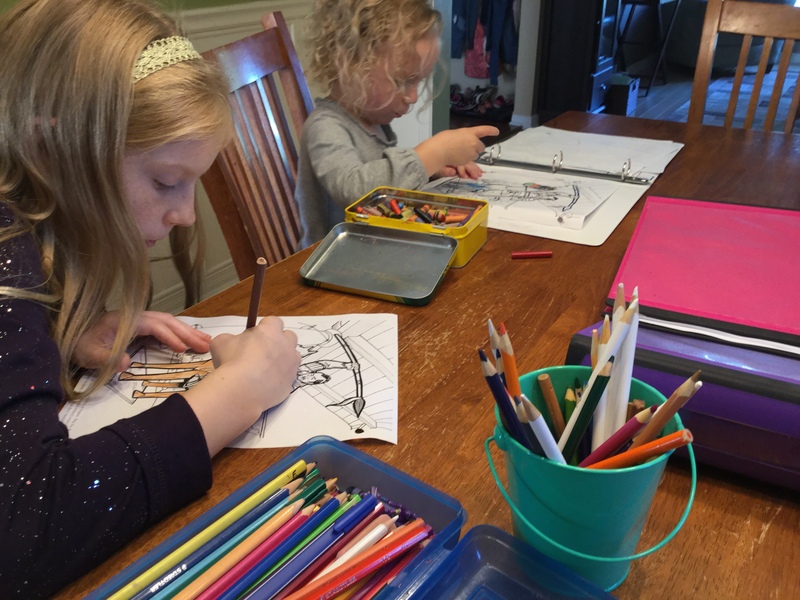 It was an ideal way for us to ease into homeschooling — just about everything we needed to do in those early years could be fit into this time. It was also a great way to include a busy toddler who would have otherwise gotten into so much mischief! Over the years, our morning time has matured and grown just as our little Morning Time has. Morning Time now finds us gathered around the table enjoying wonderful books, beautiful music, and great works of art. We also pray, sing, and memorize together. We no longer have any toddlers getting into mischief around here, and I often wonder what our Morning Time will look like a few more years down the road. I’m sure it will just continue to grow and develop as we do! Starting our school day is easy when we start with everyone’s favourite part!